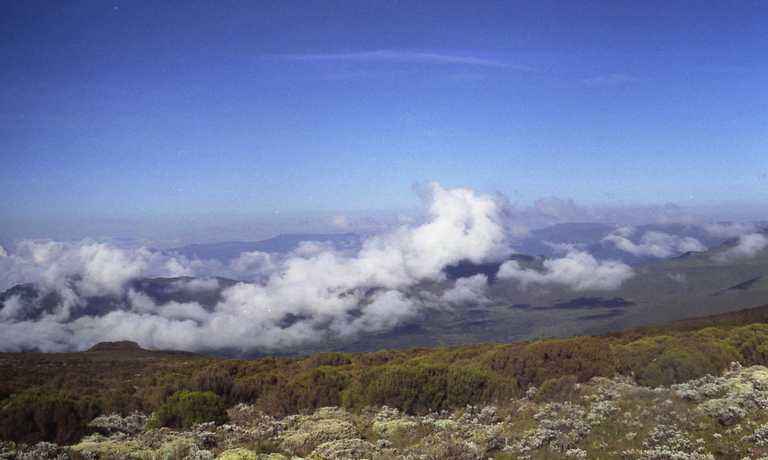 This classic route is perfect if you're looking for an introduction to Ethiopia. A great choice if you're looking for something a little more comfortable, without compromising on the best bits of Ethiopia. Enquire about this trip if you'd like to include it as part of a larger itinerary. Take a boat out on Lake Tana and visit the various monasteries of the lakes many islands. Visit the famous Blue Nile Falls. Spend a day in the historic town of Gondar, visiting the castles and famous Debre Berhan Selassie church. Tour the ancient city of Axum, famous for its Stelae field. 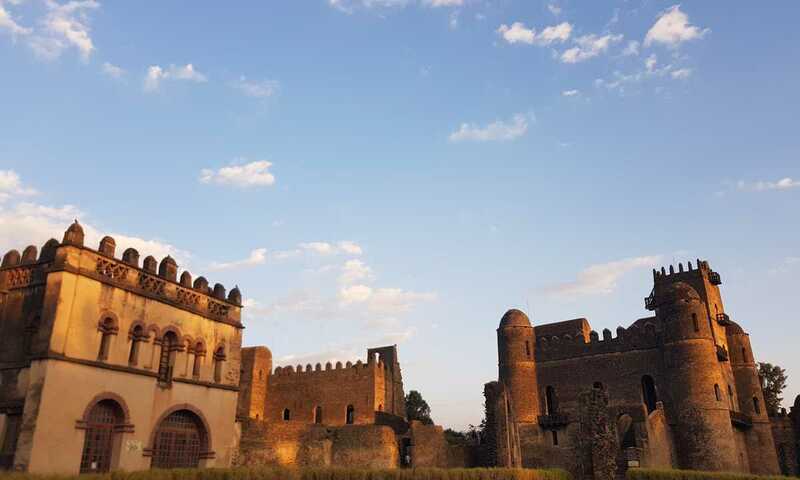 An early morning drive (approximately 3.5 hours) takes you to Gondar, the old capital of the country. Your first stop will be Debre Berhan Selassie Church, whose heavy and unassuming stone facade hides the colourful frescoes inside. There is an option to make a visit the fantastic Awramba community. Catch a morning flight from Gondar to Axum. Spend the day exploring Axum, Ethiopia’s most religious city which is home to an impressive display of Obelisks. The city is purported to have been the home of the Queen of Sheba. Rumour has it that the lost Arc of the Covenant is in the Church of St Mary of Zion. A short walk through the cobbled streets brings you to the stelae fields. Some of the 4th century AD granite structures rise to over 23 metres. Catch a late morning flight from Axum to Lalibela. Spend the afternoon exploring the various clusters of rock-hewn churches. You'll begin with the north-western cluster: Bet Medhane Alem, Bet Maryam, Bet Meskel, and Bet Danaghel. Our fantastic local guides will help you understand the churches historic significance of this World Heritage Site. If you're lucky enough to visit during one of the religious festivals, you'll be a part of something few people ever experience. 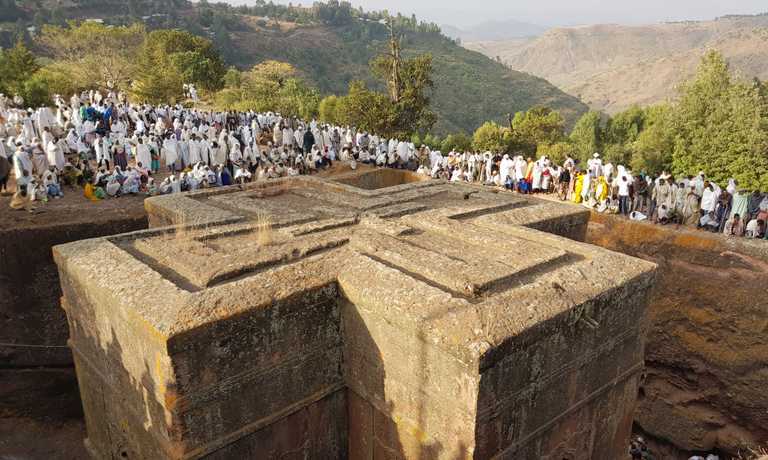 In the afternoon, you can hike for around 4-7 hours to Yimhrehane Kristos, an under-appreciated gem of Lalibela. In stark contrast to the famous rock-hewn churches, Yimrehane Kristos is built rather than excavated, and is likely to pre-date the rock-hewn churches by nearly a century. The elaborate decoration of the interior is juxtaposed by the mummified bodies that inhabit the caves behind the church. Alternatively, a 5 hour hike leads you to Asheton Maryam church, situation 4000 metres up in the hills of Lalibela. 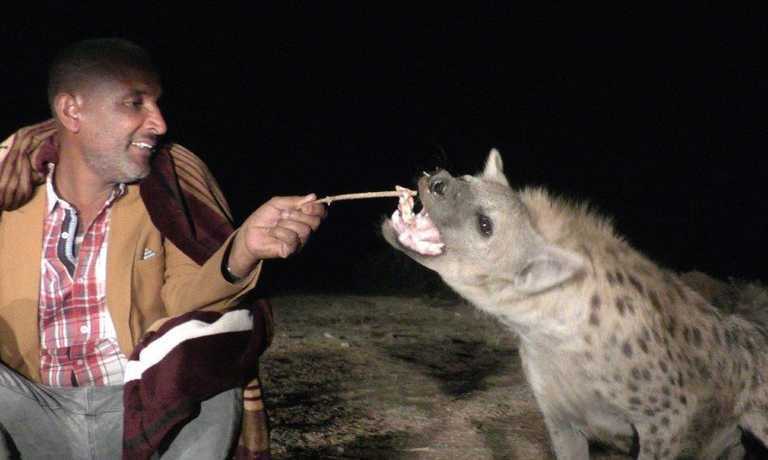 Any trip to Lalibela is incomplete without an evening dinner at the phenomenal Ben Abeba restaurant. Catch a flight from Lalibela to Addis Ababa and head home. Enquire about this trip if you'd like to include it as part of a larger itinerary. This trip can run as a group trip, with prices starting from $600 per person for a complete group. If you are looking to join a group or you are a solo traveller we will help to form likeminded groups of travellers. Please let us know your travel plans. Prices based on 4 pax. The current total fare for the domestic flight(s) in the itinerary is USD $225 per person when Ethiopian Airlines is used for international flight. Otherwise the fare for the domestic flight(s) in the itinerary is $605 per person. Fares subject to change by airline.